Hi folks! It’s me… one of the authors over at RIHG. Just wanted to check in on this blustery fall evening here in northeast Florida. I’ve been camped outside of Barnes & Noble for five days now. I have to admit I’m pretty surprised to find I’m all alone with relatively few hours to go before opening. You know, with all the great sales on Friday! Hey! You better get on down here… there’s limited quantities available. I’m hoping to get a great deal on D. A. Carson’s most recent. I have my NOOK in hand and as soon as the doors open, I’m hitting download man! Excuse me a moment, my wife is calling. Do what dear? No, no… Weezie’s doing fine. She’s standing right here beside me. Do what? Oh yes, she has plenty of water and hay. What’s that honey? You don’t understand why I had to bring Weezie? Didn’t you read the title… kicking donkeys dear! 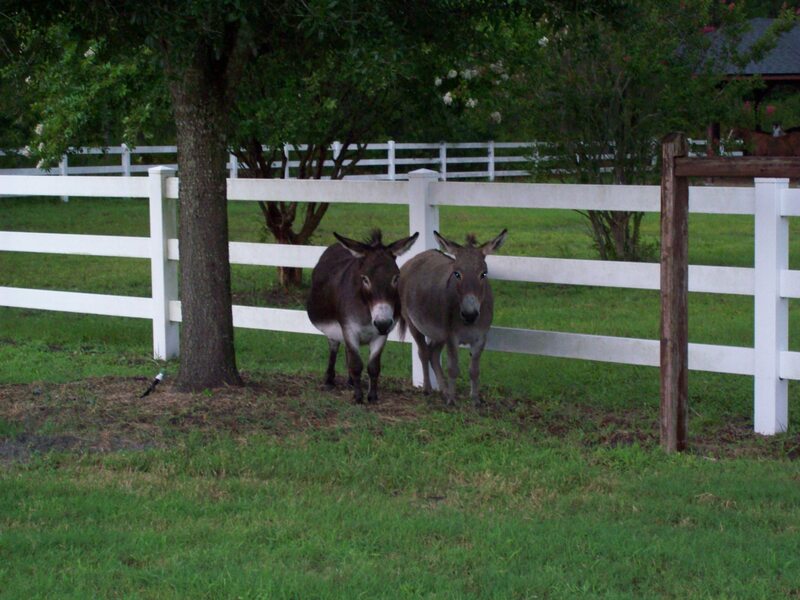 What sense would this post make if I didn’t have our pet donkey with me? Do what dear? Our friends told you what? Now how silly is that? Do you really believe they’re going to let me download the book at their special price if I’m not here to fight the crowds on Black Friday? Oh, and by the way, I am taking the names of everyone who walks by… I have three so far. My Pastor questions the sanity of an endless and unquenchable need for the next new and improved version of everything there is. He of course references Black Friday. He asks if anyone else sees the irony of a people who will offer prayers of thanksgiving on Thursday, then roll in the floor of Wal-Mart on Friday brawling over the just released IPAD X Cubed (I just made that up, don’t start searching the net), or whatever the latest craze may demand. Is it possible that we’re just a little bit consumed with worldliness here in America? Our good friend Matt, over Canada way (not for much longer! ), offers a really neat checklist for me to measure my infatuation with materialism… maybe it will be helpful for others as well. 1) Am I content with what I have and the circumstances of my life or am I striving for more and more? 2) If everything in my life was taken away, all of my material possessions, and I had nothing but Jesus Christ would I still be content? 3) Am I living as if I am taking nothing with me when I die? 4) In my life does Jesus look like an all-satisfying treasure? 5) Can I rightly distinguish between my needs and my wants? 6) What is tempting me to treasure it more than I treasure Jesus? 7) Am I discontent with the things of this world, yet content with where I am in my relationship with Jesus? 8) Do I live like I trust and hope in things or like I trust and hope in God? 9) Am I generous, ready to give and willing to share? 10) Am I living and giving in a way that shows it is more blessed to give than to receive? 11) Does Jesus have all of my life? Matt, along with his wife Gayle, and their children Ezra, Thea, and Hosanna, will soon make a pit stop back here in Bryceville for a Christmas visit before heading to Senegal, Africa. It would be really neat if you took a moment and stopped by their site, All Senegal for Christ. There you can learn of this urgent mission that God has laid upon this family’s heart to carry the good news of Jesus Christ into a world where there are no Black Fridays per say, but black every-days… as the largest majority of the people of Senegal have yet to hear the gospel, the power of God unto salvation. This entry was posted in WordPosts and tagged Black Friday, consumed by consumerism, fighting in the aisle of Walmart, finding the best deal, Jesus Christ, mission work in Africa, Nook, Senegal. Bookmark the permalink. Hilarious! Camping to buy anything is way out there! No shopping is worth that! 🙂 Great checklist too! Now that’s a wonderful checklist! I love your theme so much, I snagged it for my promise book site! LOL God bless you! I love this post by the way! I agree 150%! Awesome! Great, and true, commentary on the tragedy of commercialism in our culture.